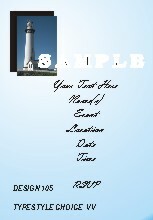 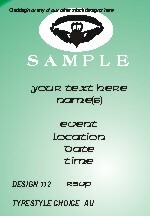 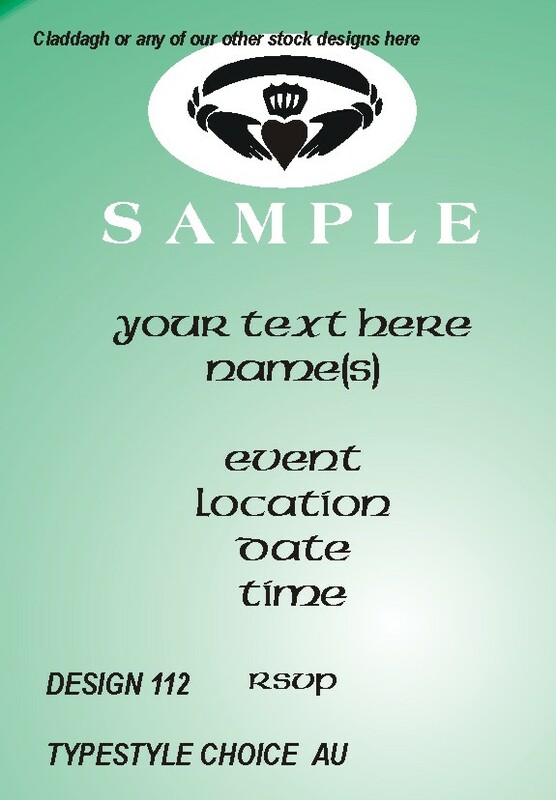 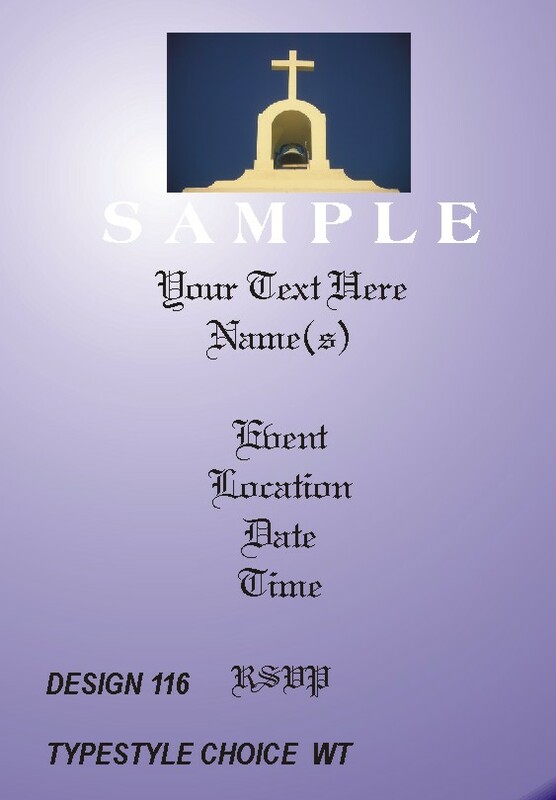 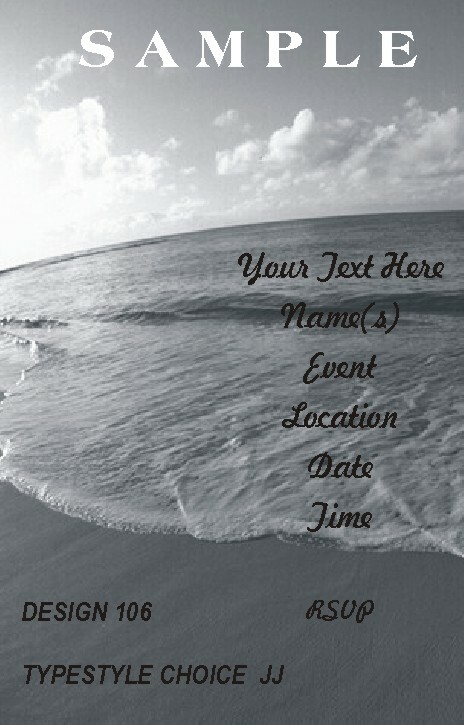 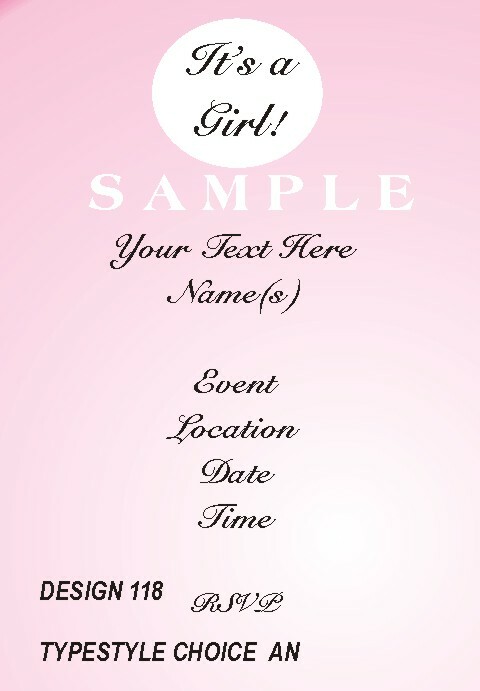 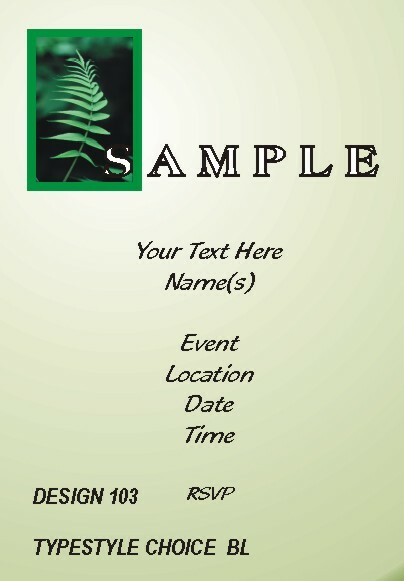 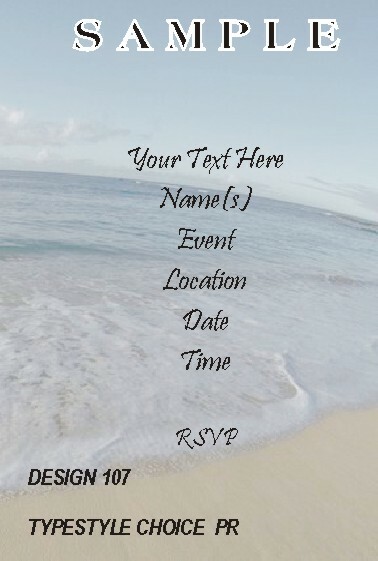 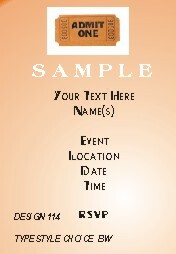 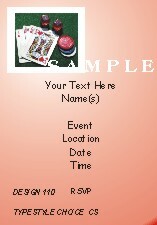 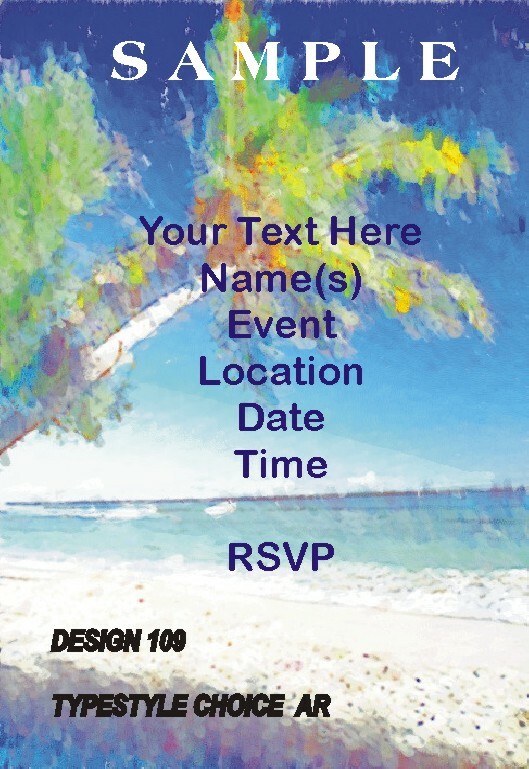 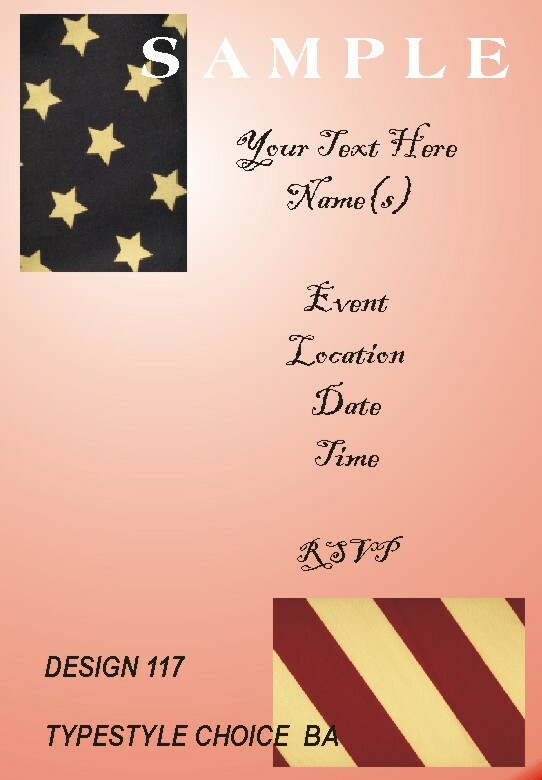 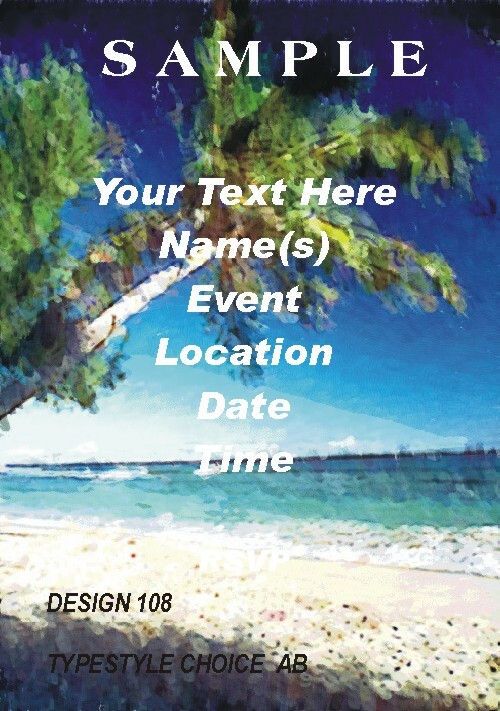 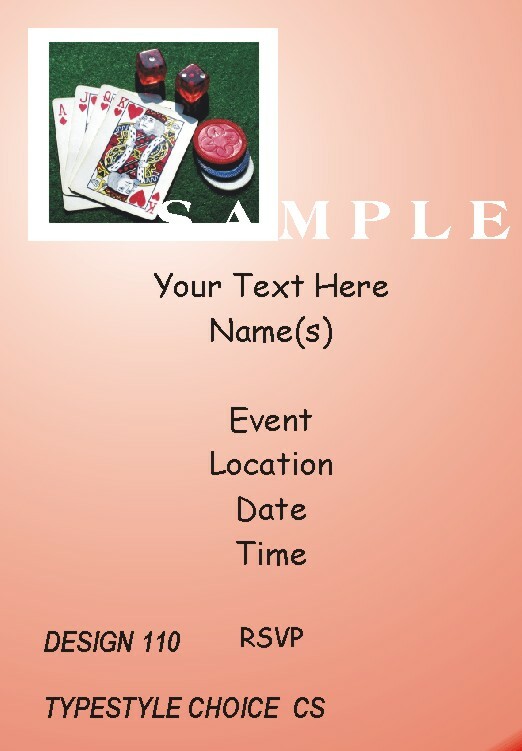 DESIGNS PERSONALIZED FOR ANY EVENT! 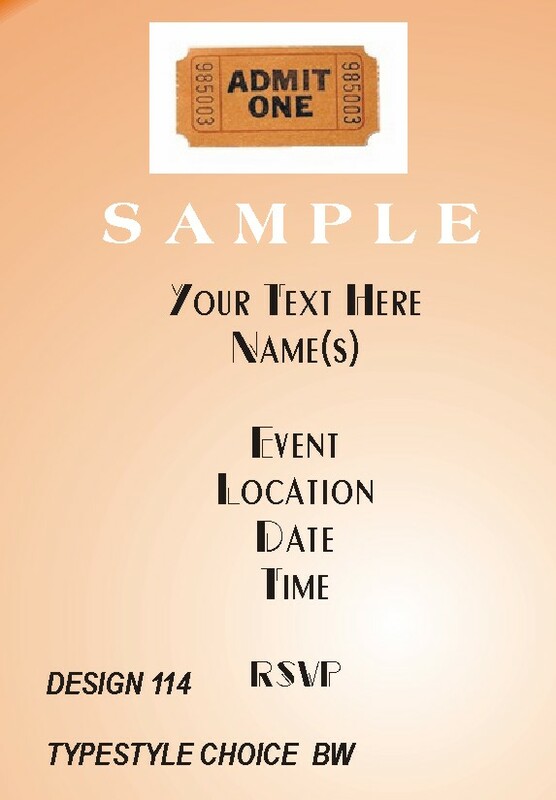 Unique Absolutely One of A Kind Invitations & Announcements Completely customizable invitations measure 5.0” x 7.5” and are printed on Bright White Card Stock. An electronic proof will be provided upon order and will not go to print until we have your approval. 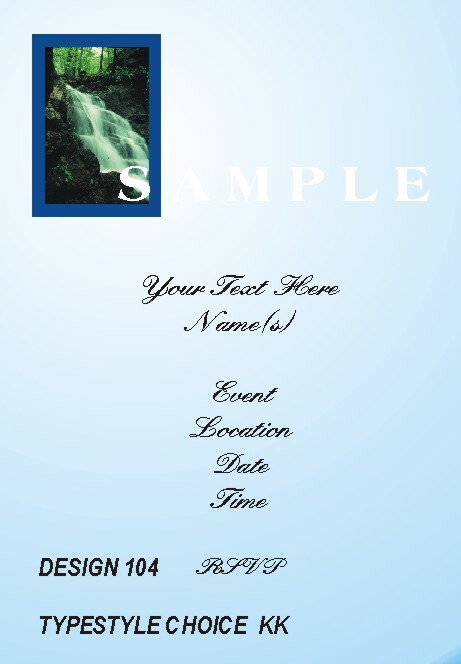 We have the capability to print and ship same day if necessary, please inquire for confirmation and shipping costs. 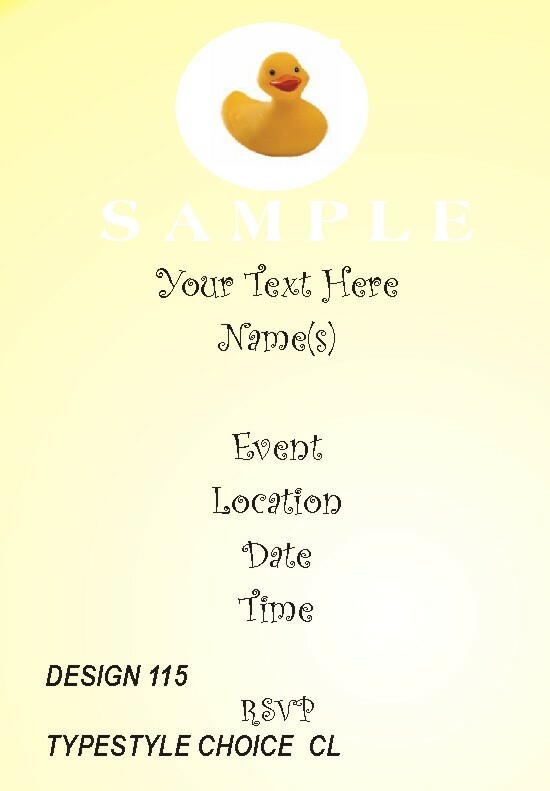 The samples shown are suggestions only - we will do our best to print whatever you would like. 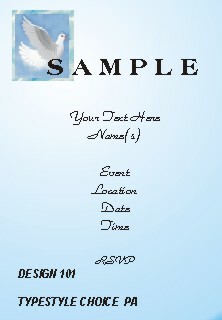 Designs/Samples: http://www.sandscripts.com/catalog/invitation/design_options.html Remember monitors / printers show colors different than actual. 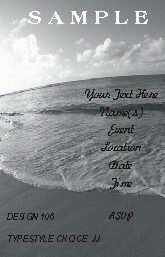 Order any quantity. 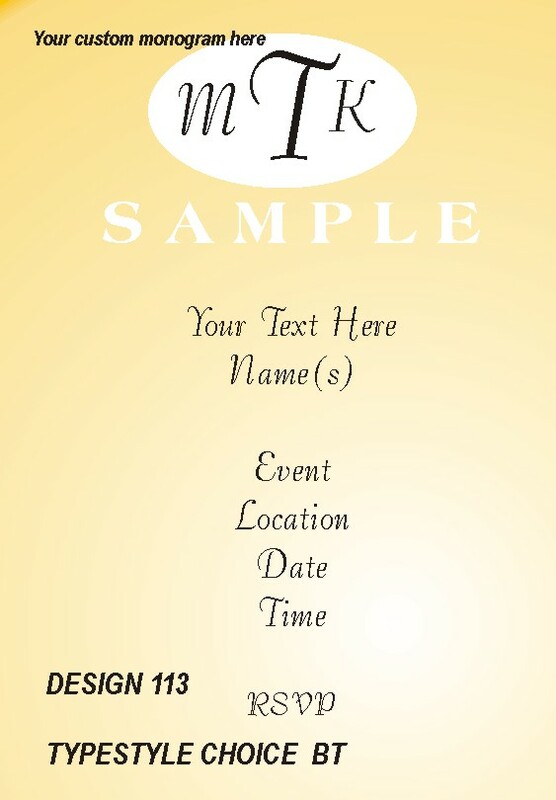 $1.59/each includes your fully personalized card and blank white envelope. 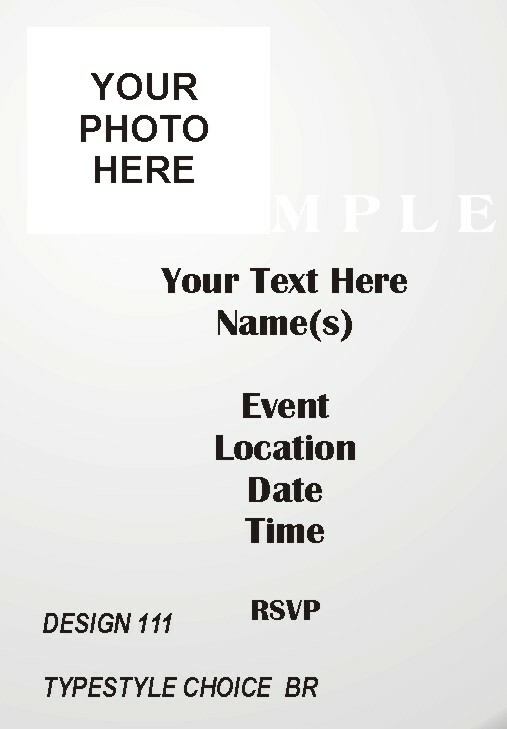 Envelope addressing and complete mailing services available, please inquire. 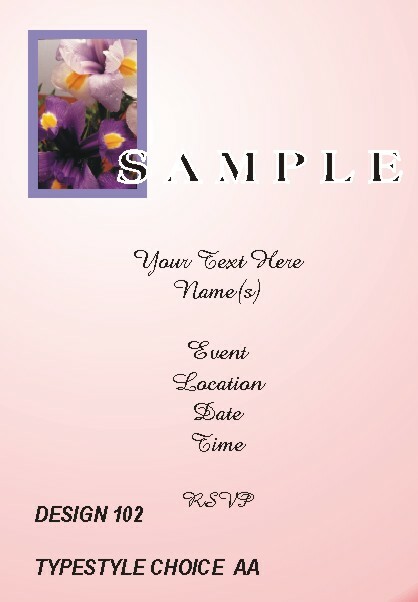 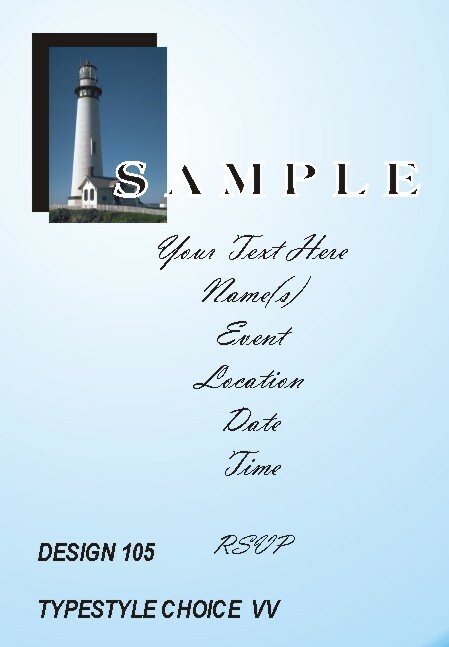 We also can print matching thank you notes, response cards, return address labels, favor labels, place cards, programs and bulletins, just let us know what you need!